What is red and white and beautiful all over? This bouquet! 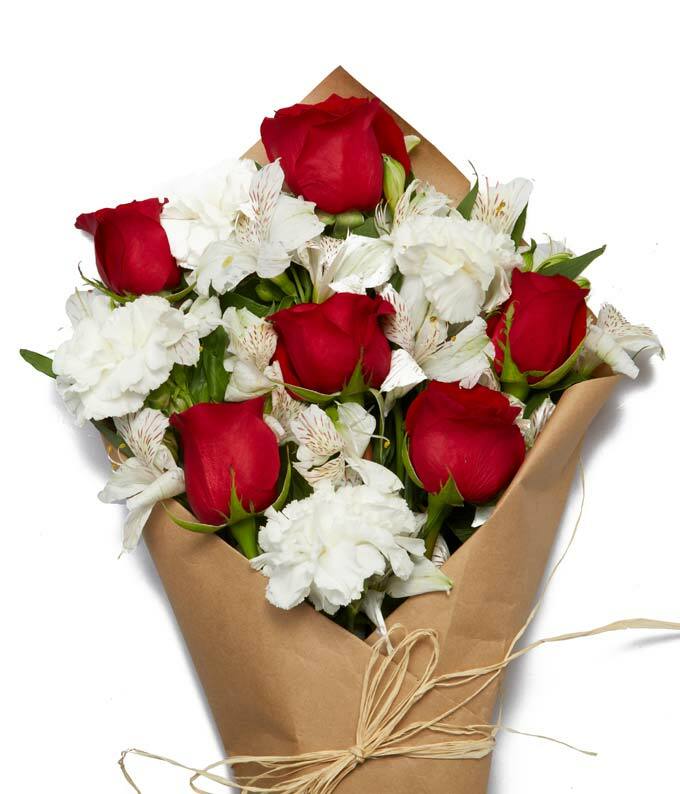 Full of roses, carnations and alstromerias all wrapped up in brown parchment paper and tied together with twine, this presentation will keep your recipient smiling for days!